The Honda motor company has confirmed it will return to Formula One as an engine supplier to the McLaren F1 team in 2015. In a press conference in Japan on Thursday, McLaren team principal Martin Whitmarsh confirmed the rekindling of a partnership which delivered four championships during the five year deal. "I am delighted to announce that Honda and McLaren will soon begin a new chapter of our legendary Formula 1 partnership," said Whitmarsh. "It's a partnership synonymous with success. Together during the 80s and the 90s McLaren and Honda won 44 grands prix and eight world championships. 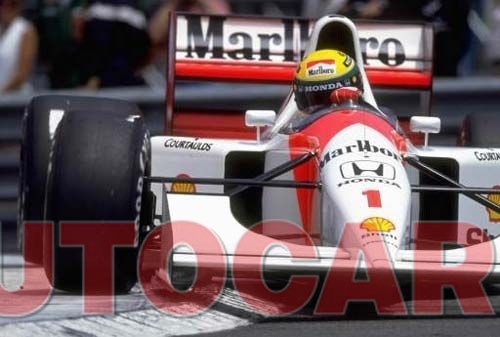 "Together in 1988 we created the most successful Formula 1 car of all time, the all conquering McLaren-Honda MP4/4, which was driven to victory 15 times out of 16 by Ayrton Senna and Alain Prost. "McLaren and Honda are about to embark on a new and extremely exciting adventure together, so on behalf of everyone at McLaren and also everyone who loves F1, I am delighted to welcome Honda back to thr sport." I feel Honda will have already started development of the soon to come turbo engines. It is definitely the end of an era with Mclaren and Mercedes parting ways. On the other hand this news is getting me quite nostalgic too.